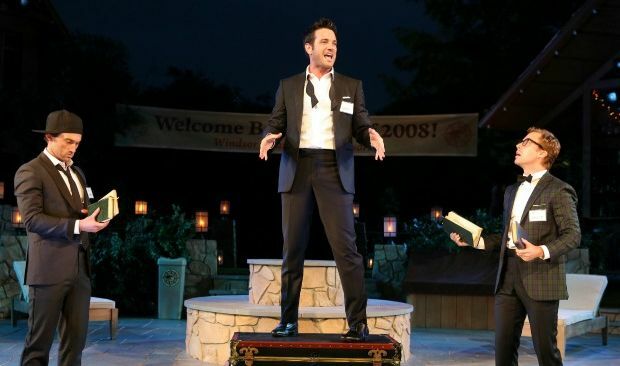 The Public Theater’s acclaimed Shakespeare in the Park series concludes on August 18 with a rollicking musical interpretation of the bard’s early comic masterpiece, “Love’s Labours Lost” . This time set as a reunion at a prestigious college, with the beautiful Belvedere Castle as a fitting backdrop, the play takes the story of young men willing to forego the pleasures of the flesh (to find truer meaning in life) to a level that true Shakespeare fans may not appreciate. It could be called a “Saturday Night Live” mashup with Shakespeare – it even features SNL’s fabulous Rachel Dratch as one of the professors – and it’s a lot of fun. With a terrific band playing 30 or so memorable songs ranging from rock to rap, and a super-talented cast with two of the stars from the Public Theater’s successful “Passing Strange”(Daniel Breaker and Rebecca Naomi Jones), the production guarantees a wonderful evening. Tickets, as usual, are distributed free in a democratic manner: you must line up early in the morning near the Delacorte Theater in Central Park to await distribution for the performance of the same day. Two per person. Alternately, you can donate to support free Shakespeare in the Park through the Public Theater’s website for $175 per person and receive one ticket to this show. The song “Rich People” pokes fun at this with a wonderfully hilarious song. The show is a must-see. Delacorte Theater in Central Park, Manhattan, enter at 80 Street. 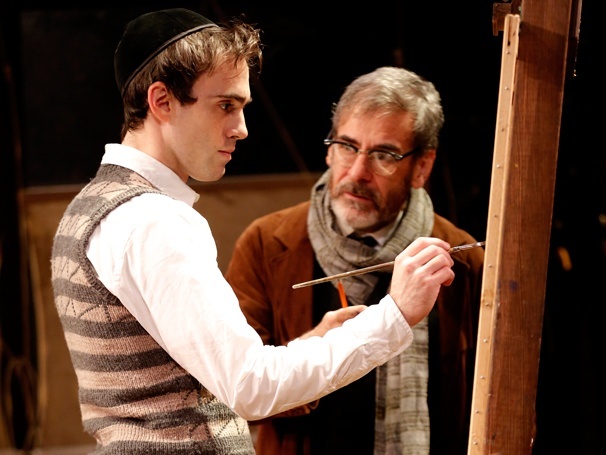 “My Name is Asher Lev” at the Westside Theater is a powerful adaptation of Chaim Potok’s 1972 novel about a Hasidic boy growing up in Brooklyn in the 50s. The story about Asher’s conflicts with his father, his drive to be an artist (painting subjects taboo in the Hasidic world), and the role of his Hasidic mother as intermediary is a portrayal of tradition versus passion. Asher’s relationships with his art mentor Jacob Kahn, his mother, and his father form the backbone of the story. Performances by Ari Brand (Asher) and Mark Nelson (Aryeh) are gripping and often disturbing, with Asher looking almost possessed at times. Chaim Potok’s daughter, Naam Potok, is the understudy for Rivkeh, a rare and especially meaningful theatrical tribute to the author. Closing September 1. Westside Theater, 407 West 43rd Street, Manhattan. This entry was posted on Wednesday, August 7th, 2013 at 11:11 am	and is filed under Stuff to Do. You can follow any responses to this entry through the RSS 2.0 feed. You can leave a response, or trackback from your own site.